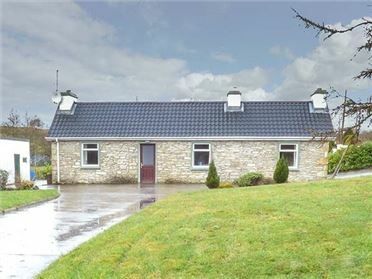 Wood View is a wonderful, single-storey detached cottage set on the edge of the village of Bansha in County Tipperary. 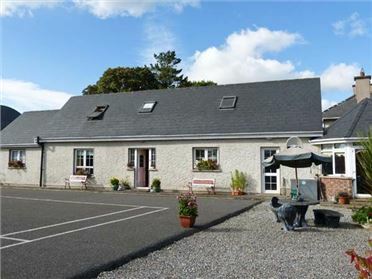 With three bedrooms consisting of two doubles and a single, the property can sleep five people. 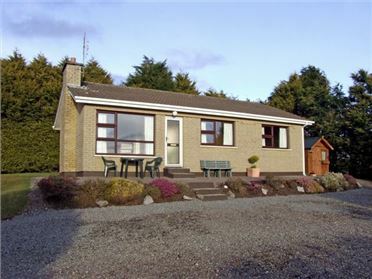 There's also a family bathroom, a country-style kitchen with a dining area seating four, a sitting room with an open fire, a second sitting room seating three with an open fire, plus a sun room. Outside, there is a lovely decked area overlooking the lawns and mountains beyond, and a side porch where you can settle on the comfy seat and enjoy a spot of reading. 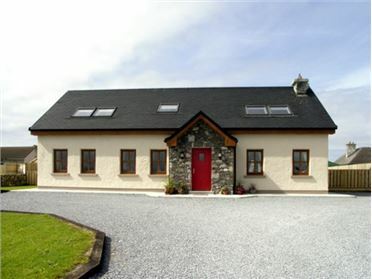 Wood View is a delightful property with comfortable furnishings, set in the heart of this beautiful county. All ground floor. 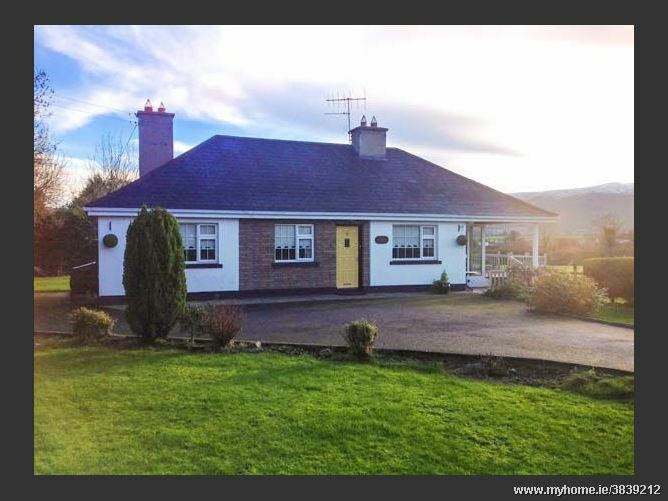 Three bedrooms: 2 x double, 1 x single. Bathroom with bath, shower over, basin and WC. Kitchen with dining area. Utility. Sitting room with open fire. Snug (seats 3) with open fire. Sun room. Oil central heating with open fires. Electric oven and hob, microwave, fridge, freezer, washing machine, dishwasher, TV with basic Sky, DVD, PlayStation 2, WiFi, selection of books, games and DVDs. Fuel, power and starter pack for fire inc. in rent. Bed linen and towels inc. in rent. Cot and highchair on request. Off road parking for 4 cars. Front lawned garden plus rear lawned garden with patio and decking with furniture. Two well-behaved dogs welcome. Sorry, no smoking. Shop and pub 10 mins walk. Note: There are two small steps from the sitting room into kitchen and one from the kitchen into utility.